Ronald Leslie Moore MBE (8 March 1933 – 18 August 2018) was a New Zealand international speedway rider. He twice won the Individual World Speedway Championship, in 1954 and 1959. Moore was born in Hobart, Tasmania in 1933. He moved with his family to New Zealand when he was still a child, and although he was born in Australia, Moore always considered himself to be a New Zealander and always rode under the flag of his adopted home. Moore began riding at the Aranui Speedway in Christchurch, New Zealand, in 1949 at the age of 15. He moved to England and rode for the Wimbledon Dons from 1950 to 1956. In 1957 and 1958 he switched his attention to motor racing, but returned to ride for the Dons in late 1958 and stayed with them until 1963 when he decided to retire from racing after breaking his leg in a track crash. He began riding again in New Zealand in the mid-1960s and made a comeback with Wimbledon in 1969 and reached the World Final at the age of 36. In 1970 he won the World Pairs Championship with Ivan Mauger. He retired from racing in the British League at the end of 1972, apart from a couple of meetings for Coventry Bees in August 1974, but continued riding speedway until 1975 when he suffered severe head injuries in a crash at Jerilderie Park Speedway in New South Wales. Moore won the New Zealand Championship in 1956, 1962, 1968 and 1969. 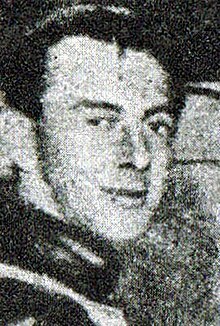 In 1950 at the age of 17, Moore was the youngest rider ever to qualify for the final of the Speedway World Championship. He won the championship in 1954 and again in 1959. He also finished runner up on three further occasions. His first win was all the more notable given the facts that he was still only 21 years of age, that he was riding with a broken leg and that he won with a maximum score. Moore was appointed a Member of the Order of the British Empire in the 1985 Queen's Birthday Honours for services to speedway sport. The Canterbury Park Motorcycle Speedway was renamed the Moore Park Motorcycle Speedway in his honour and the Ronnie Moore race school operates out of the speedway. Moore died on 18 August 2018 in Christchurch from lung cancer, aged 85. ^ London Gazette (supplement), No. 50155, 14 June 1985. Retrieved 26 January 2013. ^ "Moorepark - Speedway Track - Speedway in Moore Park". Moorepark - Speedway Track. ^ "Motorsport world mourns former Kiwi world speedway champion Ronnie Moore". ^ "Motorsport: Kiwi speedway legend Ronnie Moore dies". 19 August 2018 – via www.nzherald.co.nz. ^ "Friends farewell Ronnie Moore-the godfather of New Zealand speedways golden era". Stuff (Fairfax). 24 August 2018. ^ "Moore a legend on so many fronts". Stuff (Fairfax). 22 March 2014. "Moore a legend on so many fronts". The Press. 22 March 2014. This page was last edited on 17 December 2018, at 17:37 (UTC).